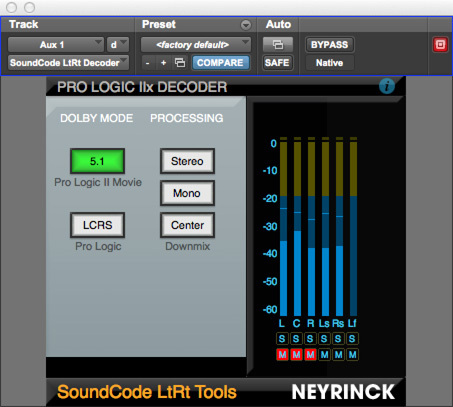 SoundCode LtRt Tools now includes a Pro Logic IIx decoder licensed from Dolby Laboratories Inc. 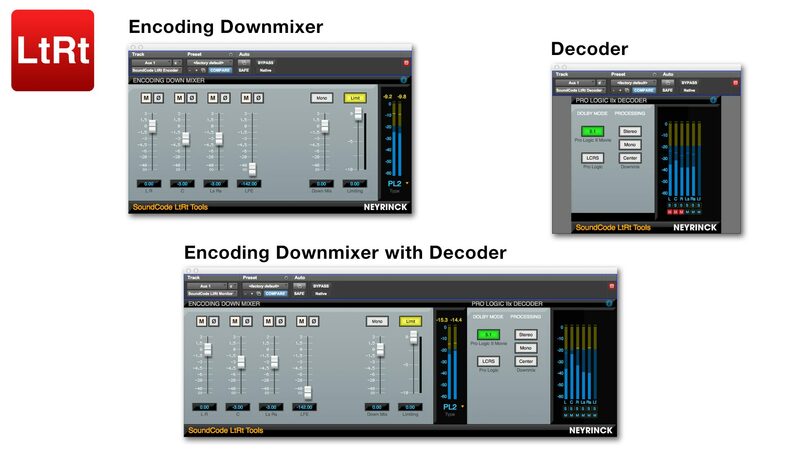 It provides 7.1, 5.1, and LCRS decoding so mixers can simulate consumer system playback environments. The Pro Tools Complete Production Toolkit allows Pro Tools LE to open Pro Tools HD surround projects. But Pro Tools LE hardware such as MBox Micro can only output two audio channels. 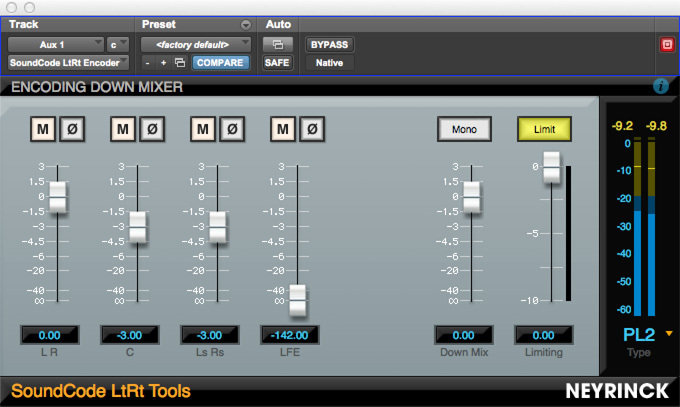 SoundCode LtRt Tools can be used by Pro Tools LE systems to make a stereo monitor mix when working with surround projects. SoundCode Stereo LtRt is a Pro Tools TDM, RTAS, and Audiosuite plug-in designed for post-production studios, TV mixers, video game mixers, and broadcasters that monitor or deliver stereo down mixed and LtRt encoded audio compatible with Pro Logic™ I and II decoders. Works on Mac and PC.